Apple doesn’t want the iPhone and iPad users to jailbreak their devices. Developers such as CoolStar and Ian Beer have worked hard to make the iOS 11.3.1 jailbreak available to the public. Just when CoolStar is about to release their iOS 11.3.1 Electra jailbreak tool, Apple has stopped signing the iOS 11.3 beta 5 and 6. Why does it matter? Allow me to explain. When Apple released the iOS 11.4 earlier this month, it stopped signing the iOS 11.3.1. 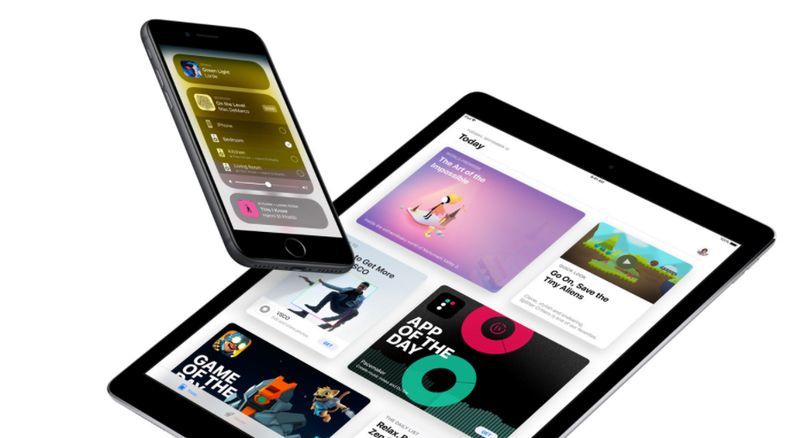 It means people who upgraded – deliberately or accidentally – their devices to 11.4 were no longer able to downgrade to iOS 11.3.1. Those users, especially the ones interested in jailbreaking their iPhones or iPads, were stuck because CoolStar’s Electra tool would be able to jailbreak devices running only up to 11.3.1. People who had upgraded to 11.4 seemed to be out of luck. Fortunately, the jailbreak community discovered that devices running iOS 11.4 could still get on the jailbreak-supported firmware. Such people could install the iOS 11.3 beta 5 or beta 6 on their devices. For some reason, Apple was still signing the iOS 11.3 beta 5 and beta 6 versions. And iOS 11.3 beta firmware is supported by the Electra tool. Many would-be jailbreakers were quick to downgrade from iOS 11.4 to iOS 11.3 beta 5 or 6. Now Apple is no longer signing the iOS 11.3 beta firmware. You have no way to go down from 11.4 to 11.3 beta and now you have to wait for the iOS 11.4 jailbreak, which may or may not see the light of the day considering iOS 12 is just a few months away. If you were lucky or smart enough to have stayed on the iOS 11.3.1 even though Apple kept nagging you to upgrade to 11.4, here’s how you can disable updating to newer versions while you wait for the iOS 11.3.1 jailbreak. CoolStar recently confirmed that they had successfully achieved the iOS 11.3.1 jailbreak. The developer shared a picture of a jailbroken iPad with Cydia and Anemone installed on it. The Electra jailbreak is based on Ian Beer’s ‘tfpo’ exploit. CoolStar initially demonstrated the jailbreak on iOS 11.2-11.2.6 as the developer hadn’t fixed the ‘rootfs remount’ issue that prevented them from jailbreaking 11.3.1 device. CoolStar has since resolved the issue. The updated Electra tool can liberate all iOS 11-compatible iPhones and iPads running up to firmware 11.3.1, including older models with 16GB storage and the latest iPhone X. The developer has made it more compact than before for the sake of 16GB devices. CoolStar recently told fans that the tool will be released directly to the public, meaning there will be no developer previews. The developer hasn’t specified a timeline for its release, though. CoolStar could drop the Electra tool to the public anytime soon. However, Apple has warned users against jailbreaking their devices. The tech giant said in an updated document last week that “jailbreaking your device eliminates security layers designed to protect your personal information and your iOS device.” Jailbreaking is a method to use unauthorized software hacks to allow users to do things that iOS doesn’t allow them to do, such as running unapproved apps and customizing the experience. In its post, Apple highlighted the “adverse issues experienced by customers” who have liberated their devices from its walled garden. The company says jailbreaking can make your device vulnerable to hackers, cause it to crash unexpectedly, shorten the battery life, and freeze different apps and services including iMessage, iCloud, and FaceTime. Jailbroken devices are also denied service at Apple Stores. Apple’s warning might not be enough to prevent people from jailbreaking their devices. Only a small percentage of global iPhone and iPad customers jailbreak their devices. And most of them are fully aware of the risks.